As a residential medical facility for drug and alcohol abuse treatment, the new dormitory building at High Watch Recovery Center needed to be comfortable and feel safe to the residents. To achieve this environment, CAMA utilized Behavioral Health Design tactics on a number of features. In an effort to reduce alone time in rooms, the design of the community spaces are open, inviting and social. High visibility and illumination were included throughout the Center so staff could keep their eyes on the patients without feeling intrusive. 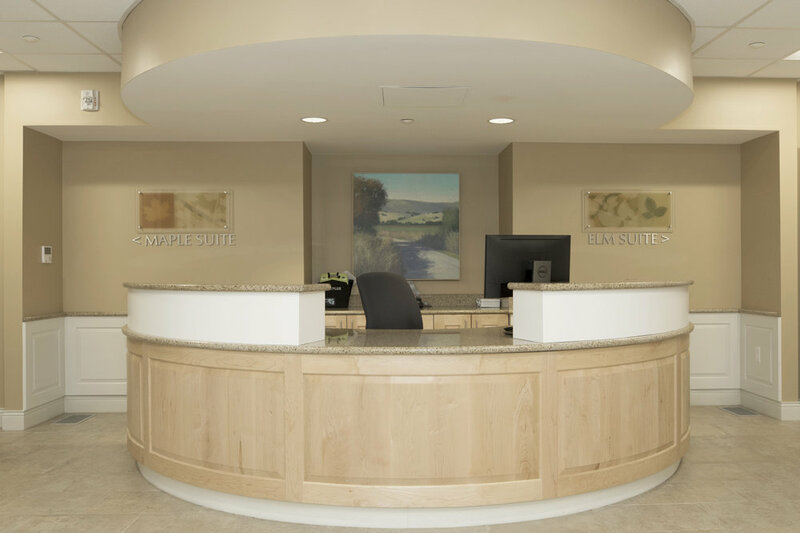 To offer stress relief for the residents, the design team utilized nature-inspired art, adjusted acoustic settings and offered increased exposure to natural light and nature views by adding larger and thoughtfully positioned windows. Order, organization and wayfinding cues were used to offer residents a sense of control. For a "sense of place" effect - key in Behavioral Health Design, CAMA created custom, nature-inspired signage for the building. Above all, High Watch needed to be a respite for residents, establishing a non-threatening environment that would allow residents to comfortably and confidently recover. 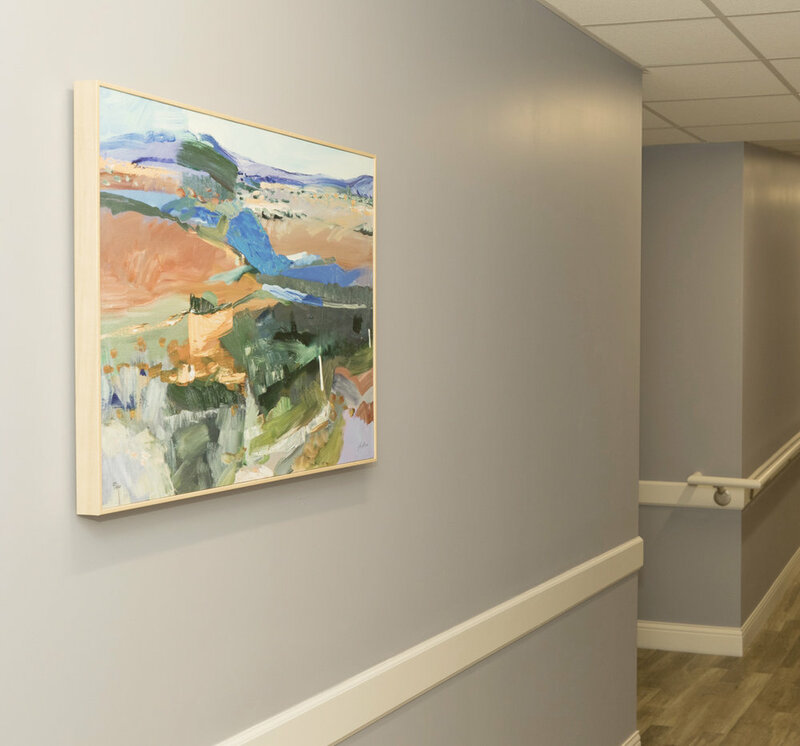 CAMA stayed away from institutionalized design and opted for residential, home-like features to achieve a healing, normalized environment, helping residents smoothly transition from facility to home.